Had a good walk of 20.7 km (12.9 mi), but when some of us arrived at Lezama we discovered that 20 had arrived before us so that we encountered the “no vacancy” sign. Two of us made a decision to catch the next bus to Bilbao, where we barely filled one of several rooms at one of the closest hostels and this is one of three hostels, probably best located. The pulse at Bilbao was over the top! So many impressionable things I saw today: the Basque flag flying everywhere and statements about wanting their freedom; the fanciest Office of Tourisme at Bilbao that I’ve ever seen with marble floors and pillars, etc. 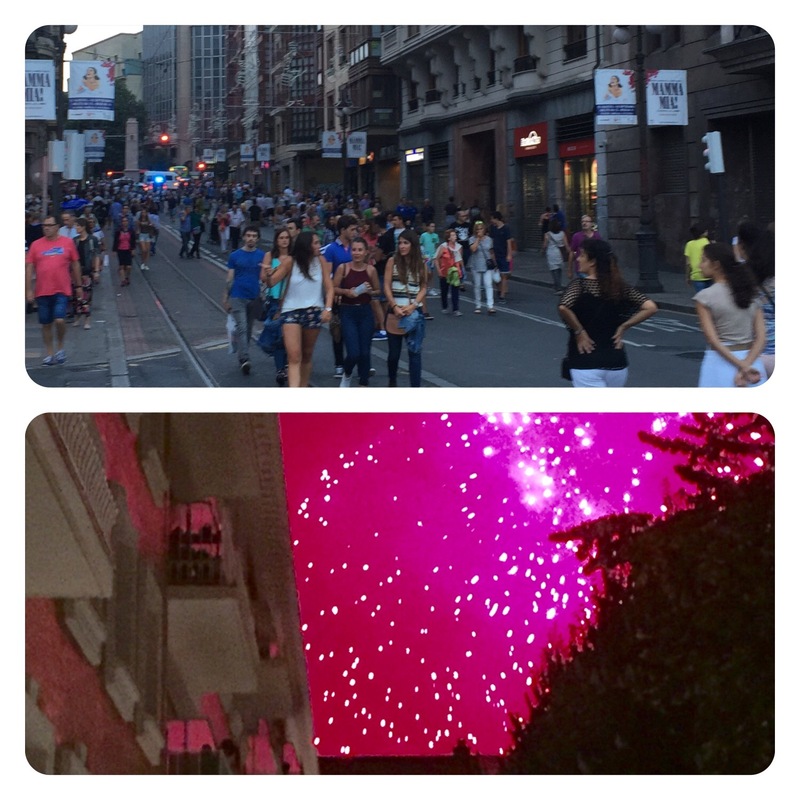 ; the Bilbao Museum we paid homage to (a Frank Gehry design); street celebrations with what seemed like thousands of people; and fireworks out of our hostel window (part of summer celebrations) to bring the day’s celebrations to a close. wenn Du noch ein paar Mal mit dem Bus fährst, treffen wir uns doch in Santiago. Sometimes inconveniences turn out to be little blessings in disguise, don’t they? 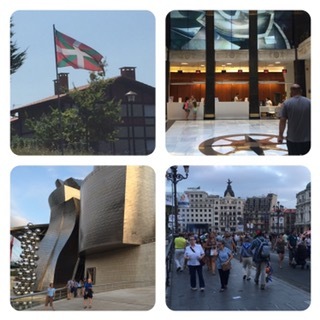 It looks like Bilbao, with its celebrations, turned out to be a great place to end your day of walking!